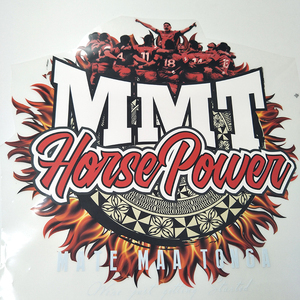 Qingyi custom printing garment wash iron on heat transfer care labels Product introduction: T-shirt care label, it is produced by screen printing . Cooperative Policy: &middot;If there are any quality problems in our product, we promise to offer 100%-return . Certificate: T-shirt care label,It is passed the SGS environmental certificate and OKEO-Test 100. Packing & shipping For package, it is 100sheets in a bag and 500 sheets in a carton . we have trainingevery week and more profession. oem design brand name iron on logos.famous clothing logos product description. 5 YRS KZ Apparel (Xiamen) Co., Ltd. The tagless care labels are applied to cloth directly instead of being sewn in the garment like embroidered label. Another reason is that there is no limited in colors for the labels. Factory Show Kenteer is one of leading company in heat transfer industry in China. 2 YRS Suzhou Chuanhai Garment Accessories Co., Ltd.
1 YRS Dongguan Menglan Garment Accessories Co., Ltd.
Part 2 garment accessory: Embroidery patch, pvc label, leather label, military badge, zipper puller, etc. Part 3 Promotion gifts: Can cooler, keychain, coaster, stickers, customized flag, etc. Now we have more than 15 professional sales manager who can offer all days online inquiry solution service. 6 YRS Dongguan Hon Keung Haberdashery Ltd.
Specification: Custom heat pressed transfer label,heat transfer sticker for clothing : Brand custom Place of origin Dongguan China (China Mainland) Material green,non-toxic, formaldehyde-free, no heavy mental delivery after payment confirmed Sample time 3-5 days Bulk days 5-7 days Pack 100 sheets/ polybag, carton Application suitable for kinds of cotton, knitted fabric, chemical fiber cloth and cotton blend. If you have a special need - please feel free to email us with your requirements and we will be happy to get back to you. welcome you to challenge us with your special needs. 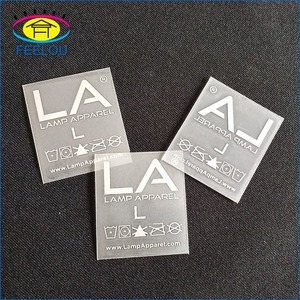 Wholesale garment custom silicone heat transfer printing labels for clothing Silkscreen printing uses a mesh to transfer printing ink onto a substrate, one colour at a time. The ink is applied through a blade which moves across the substrate to fill the open areas of the mesh with ink. The ink is applied through a blade which moves across the substrate to fill the open areas of the mesh with ink. 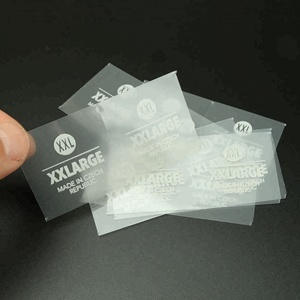 Alibaba.com offers 61,487 heat transfer label products. About 9% of these are garment labels, 4% are transfer printing, and 3% are packaging labels. A wide variety of heat transfer label options are available to you, such as silicone, plastic, and cloth. You can also choose from eco-friendly, washable. As well as from bags, garment. And whether heat transfer label is care labels, or main labels. There are 61,487 heat transfer label suppliers, mainly located in Asia. The top supplying country is China (Mainland), which supply 100% of heat transfer label respectively. Heat transfer label products are most popular in North America, Western Europe, and South America. You can ensure product safety by selecting from certified suppliers, including 11,132 with ISO9001, 7,796 with Other, and 3,381 with ISO14001 certification.